ALL nine QAFL clubs have now had their presentation nights with back-to-back premiers Palm Beach Currumbin having one of the closest counts. Thomas Thynne took honours, but only by five votes from ever consistent Tyler Cornish. Broadbeach midfielder Blake Erickson capped off a sensational year in the blue and white hoops to take out the Cats’ top award as expected, just one month removed from his Grogan Medal triumph. 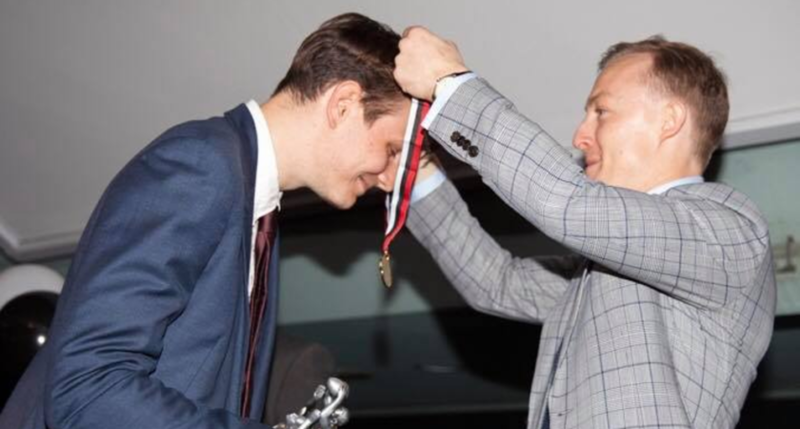 QAFL Team of the Year ruckman Peter Mollison was best for Morningside while consitent midfielder Cassidy Haberfield took top honours for the Demons. Perhaps the most interesting count was at Labrador where defender Wayde Mills and midfielder Adam Clarke finished first and second for the third successive year. Clarke was Labrador’s B&F in 2015, the year before Mills joined the Tigers from Southport. PALM BEACH CURRUMBIN: Thomas Thynne 1, Tyler Cornish 2. BROADBEACH: Blake Erickson 1, Evan Panozza 2. MORNINGSIDE: Peter Mollison 1, Nathan Beck 2. SURFERS PARADISE: Cassidy Haberfield 1, Jack Prestegar 2. MT GRAVATT: Jayden Crawley 1, Joel Leahy 2. WESTERN MAGPIES: Ryan Harwood 1, Luca Winton 2. LABRADOR: Wayde Mills 1, Adam Clarke 2. WILSTON GRANGE: Adam Hughes 1, Ryan Thomson 2. SANDGATE: Jordan Harding 1, Zac Buechner 2.